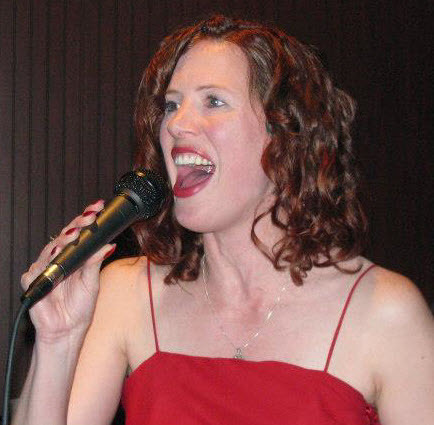 Katherine Pody completed a degree in Music Education at the University of Tennessee, and was a Walker County music educator for many years. This is a showcase of performances of vocalist Katherine Pody with Sweet Georgia Sound. If you’d like Katherine and Sweet Georgia Sound to perform for your event, contact us. Look for ‘Next’ and ‘Previous’ controls after the last entry to see more! 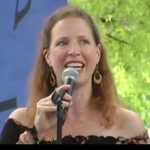 From Big Band Day at the Chattanooga Market June 2013, Katherine Pody sings ‘Love’. Video by our friend Jim Good. Here is Katherine at the Hamilton County Courthouse Centennial Celebration singing about what we’re all wishing for “nothing but Blue Skies from now on”. Tenor solo by Raymond Farley. Dedicated to yesterday mornings beautiful sky. 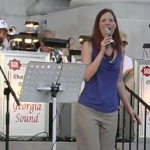 Katherine Johnson Pody and Sweet Georgia Sound perform Orange Colored Sky at the Centennial Celebration for the Hamilton County Courthouse, June 29, 2013. Audience video by Jim Good. © 2019 Sweet Georgia Sound Big Band.